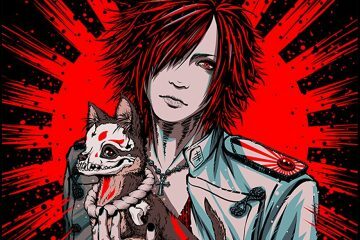 We’re celebrating the handy work of the truly creative fans and speaking to some of the artists who produce some of the best Jrock and visual kei fan-art we’ve seen. 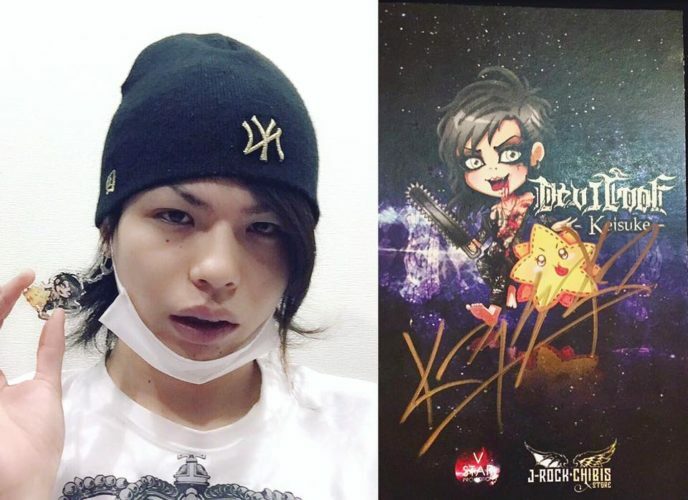 J-Rock Chibi is a name you must have heard on this website as they’ve sponsored our giveaway to kick start the year with their tiny cutey interpretations of rockers. We’re lucky to speak to Chibi-chan, the talented illustrator behind the brand to find out how she got into drawing. This will be a motivating read for those who are looking to pursue art for a career, so please enjoy. Thanks for interviewing us! 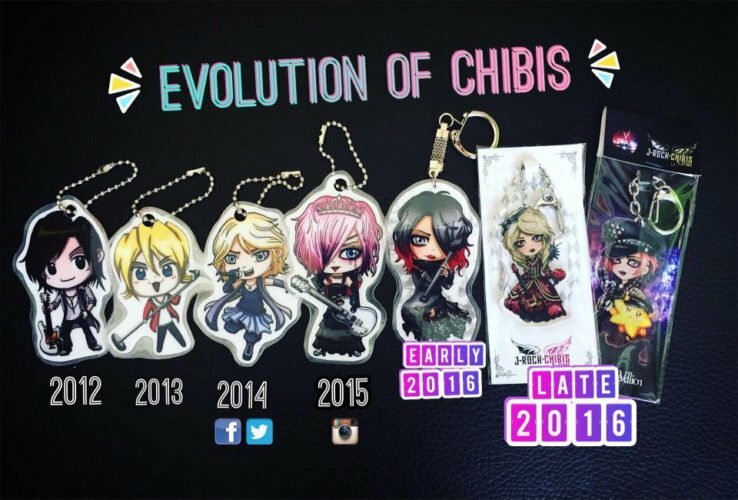 I am “Chibi-chan” from J-Rock Chibis Store, and we are living in an island country called Singapore! It is located near to the equator and therefore we always experience summer here! That’s amazing, could you tell us when you started drawing? Most of us probably start drawing as early as 2 years old. I always treat drawing as a hobby and source of entertainment when I was a kid. It was until I was 15 years old, I decided to take art seriously and make a career as an artist. Obviously, my parents do not like my decision, so I work hard to prove them I have the potential to become an artist. It is not an easy route to take and there are difficult times I regretted making this decision. But overall, I love what I am doing now. If anyone of you here has a passion for art and feeling hesitated now, I like to say this, “Go for it and don’t look back. It is either now or never!”. You’ve worked on a huge amount, could you tell which is your most favourite piece? 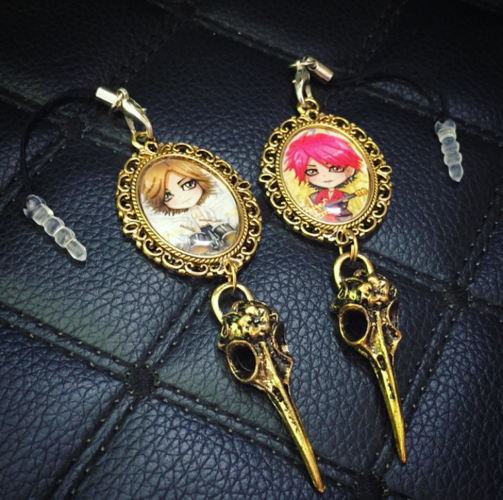 There are a lot of chibis that I like, but this chibi design is very meaningful to us. It is an unexpected commission from Aryu from Morrigan. I have my doubt at first because we had previously done quite a few Aryu commissions for his fans. I personally think he could have waited for his fans to send him this as gifts. We really appreciate Aryu and his staff’s effort to make this possible. We also really appreciate everyone who makes effort to take a photo of our chibis and upload in social media. It gives us encouragement and motivation to continue this J-Rock Chibi project. 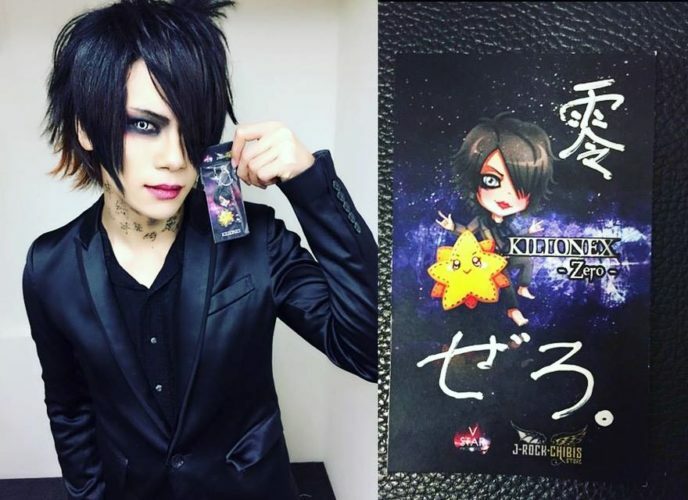 Zero (ex-KilloneX) holds up his chibi keyring. So, how did you get into Jrock? It was when a high school classmate introduced me her favourite Jrocker, Mana from Moi dix Mois. That was my first time seeing a guy dressing as a gothic lady, so I was shocked at first [laugh]. She slowly introduced me to different genres of visual kei music ranging from the GazettE to An Café. I admitted back then I still freaked out by their heavy makeup and fancy costumes, but I really like their music. Most of the Jrock music is catchy and has a passionate energy in it. It makes me feel alive and motivated. It is hard to describe but I am sure most of the Jrock fans have had this kind of feeling in them too. I found my first favourite band when I randomly came across Deluhi’s Two Hurt music video through YouTube. Sadly, they had disbanded in 2011 but I still catching up with all the members’ activities; Juri (vocalist) and Aggy (bassist) is in a new session band Breakin’ Holiday, while Leda (guitarist) and Sujk (drummer) is in another band called Far East Dizain. Do check them out if you do not know them yet! Those are good bands we recommend people check out too. We can see you work really hard especially by the number of commissions and items you have on your website. How do you get over artistic blocks or feelings of being unmotivated? It is a very common and frustrating obstacle for every artist. Sometimes a good rest is necessary, but the deadline might be too tight for you to even catch a wink. I always try to motivate myself by bursting heavy J-Rock music and eating chocolate (“Take a break, have a Kit Kat”). A good 30 to 60 minutes exercise helps me a lot too. If I am having an art block during my full-time work, I have no choice but to force myself to draw something to reach my daily KPI (Key Performance Indicator). Most artists like myself wish to have more time to make our work as perfect as possible, but the truth is, that is not going to happen. It is better to play smart and make use of the time you have. I would say it is more of a goal rather than an inspiration. 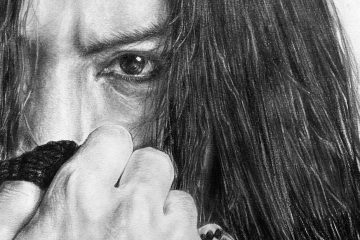 I always received negative reactions from people around me, be it classmates, colleagues or friends, when they know I am into J-rock music. 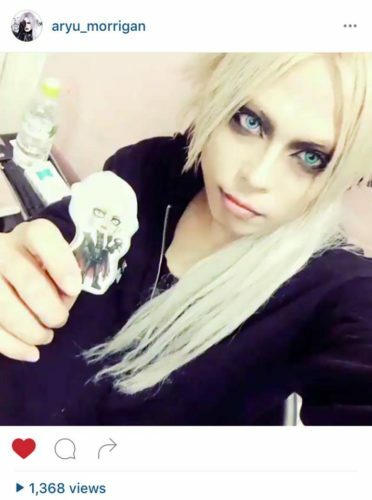 It seems that most people think rock, metal and visual kei music are for crazy, violent and even satanic people. I can understand from their point of view because I thought the same way too before I go deep into knowing J-rock music. In fact, J-rockers are regular people like us, just that their visual look and heavy expression of music might scare people who see them for the first time. 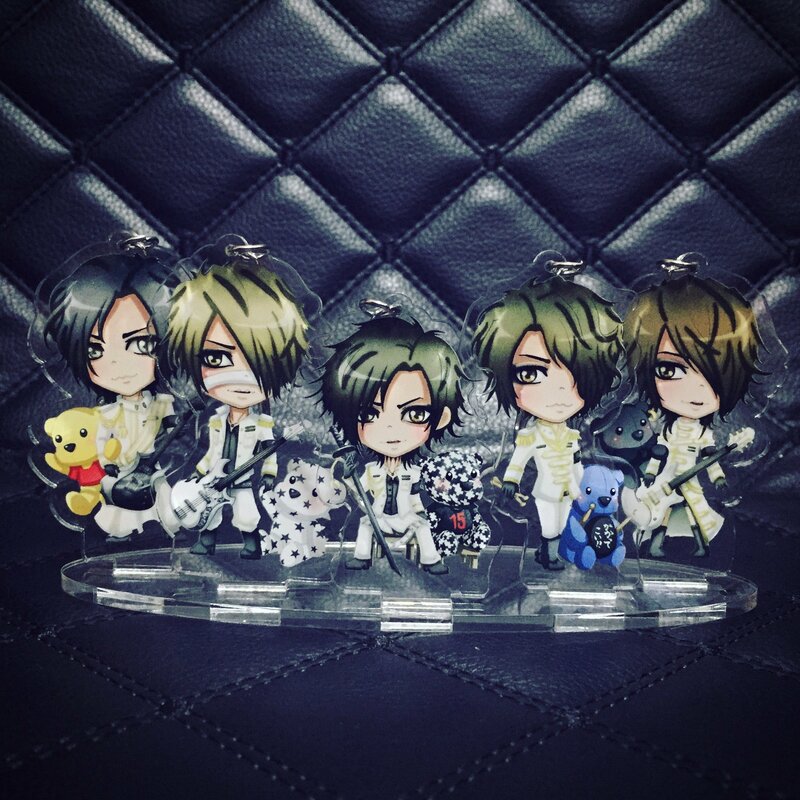 This gave me an idea to draw J-Rockers into Chibis. 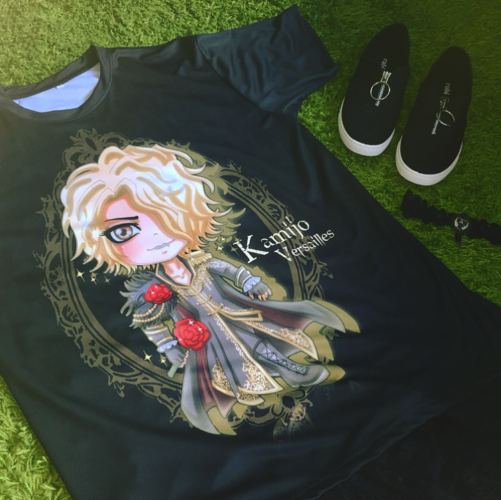 My goal from drawing J-Rock Chibis is to show to non-Jrock fans that J-rock or visual kei music is not as scary and satanic as they think it is. There is an adorable and beautiful side of J-Rock that they had not discover it yet. 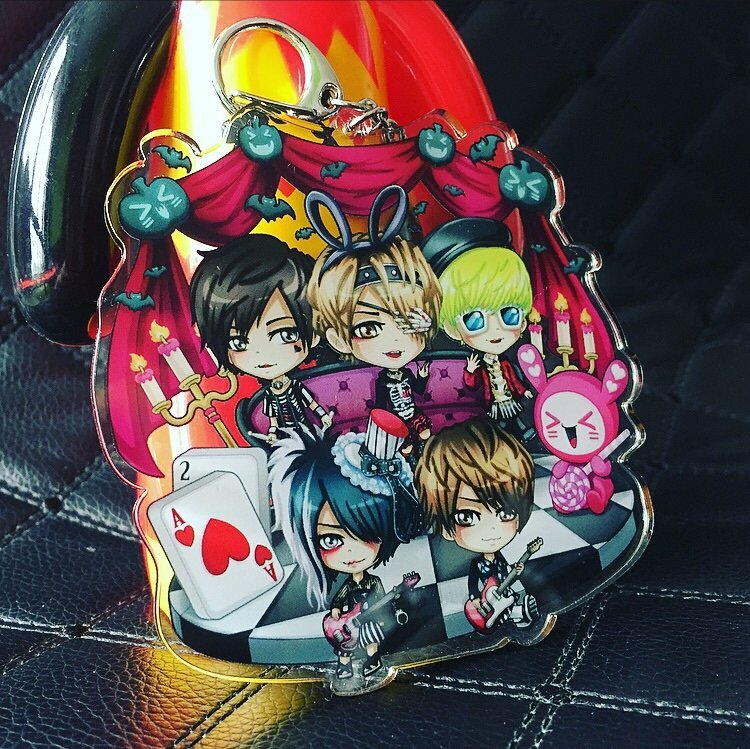 I hope from these chibis, more people will get interested to know more about the band and listen to their music. I show my idea and goal into my logo design too. The left devil wing represents the impression of people thinks about Rock music, and right angel wing with pointed tail represents the hidden bright side of J-Rock. There is no good or bad side of J-Rock, it is just our mindset and how we change the way we think about J-Rock. What was your process for improvements? I do not have a solid process on how to improve my drawings. 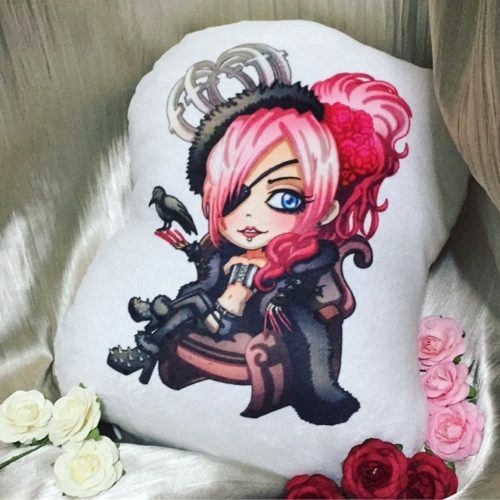 Every set of our chibis has their own theme and approach, and I will focus on how to make it different and unique from the previous. The overall art style will remain the same so that the audience can recognize our brand right away. At the same time, we constantly strive to improve the quality of our products and services to our buyers. Once a while, I will look back at the previous works. I think it is a good practice to see the changes and determine what I am still lacking in my work. That’s a nice systemic way to think about it, now, please name three artists who inspire you to draw. There are too many inspiring artists out there. I shall pick those that are J-Rock related! 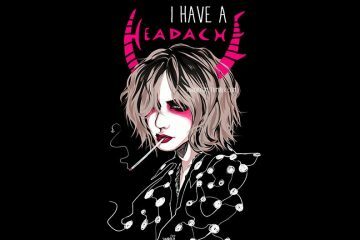 First is Ruki from the GazettE, I really respect him as an artist. He proves that art can be anything and is unlimited. You can be a singer, producer, product and fashion designer at the same time. It is better to have a wide range of skills and able combine them into one. I may be drawing chibis most of the time for this project, but I did coding for our website too, and I am working as a full-time game artist! Next is Funko Pop! Funko creates many various of popular cartoon characters and famous actors into cute miniature toys. 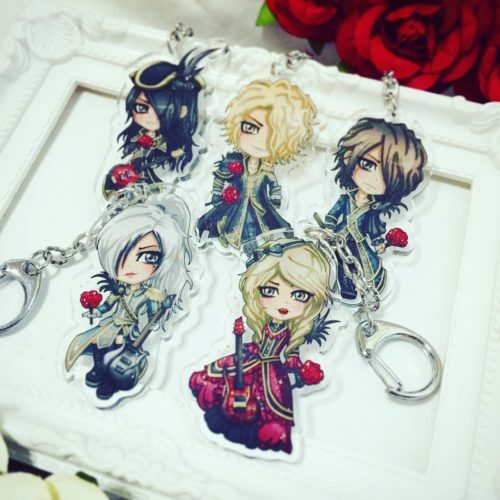 I like the simplicity of their design and inspired me to create something simple for my J-Rock Chibis too. Most artists usually get inspired by their favourite artist’s art style and sub-consciously follow that particular artist’s shadow, instead of creating a brand new one of their own. I hope one day I will be able to create my own distinctive style and idea that inspire people. Lastly is KAgaMI (BLACK INK ILLUSTRATIONS). Her art is amazing. 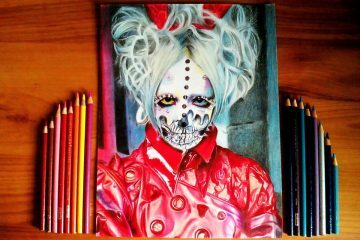 You can see some of her works on Jrock bands album cover and merchandise, such as Nocturnal Bloodlust, Jiluka and even BABYMETAL. I hope one day we will be able to design something for a band too. 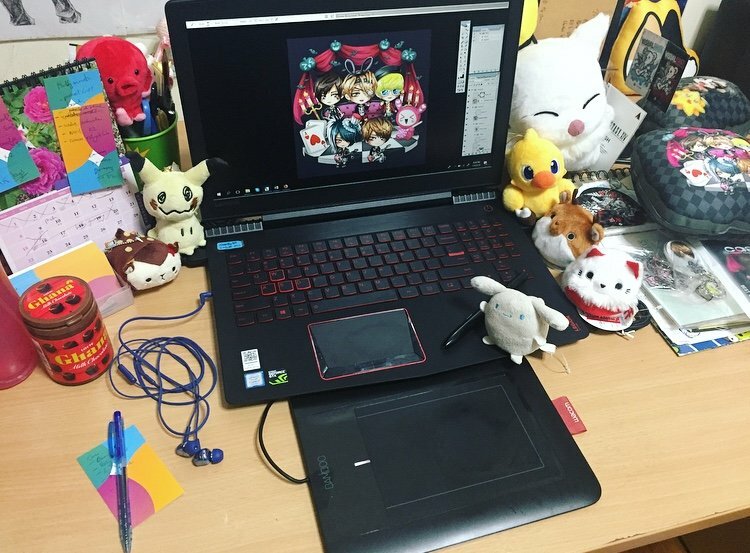 Please show us a photo of your desk! Here it is! I tided up a bit for a better photo. [laugh] I recently changed my laptop this year and my little bamboo tablet has been with me for five years. I planned all my schedule using my desktop calendar and sticky notes on the left side of my table. My sketches and prototype are placed on the right side. I love to collect plushies so I have some small ones placed around my table. We’ve always known that Chibi-chan was hard-working, but hearing this is extra motivating isn’t it? 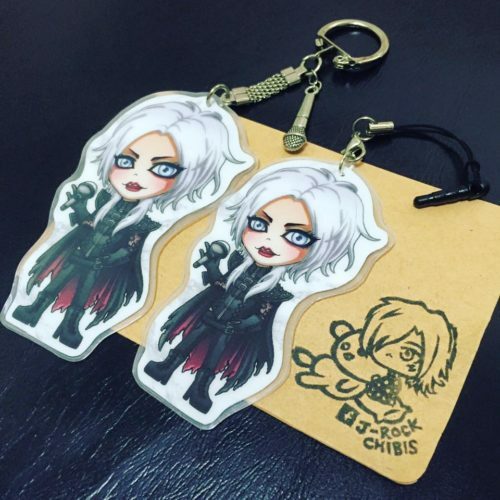 JROCK NEWs would like to thank J-Rock Chibis for speaking with us. See more of the work on Facebook, Instagram, Twitter and Website.